LUDWIG WILDING was born in Grundstadt, Pfalz (Germany) in 1927. Wilding studied history of art at the University of Magonza and attended courses at the Academy of Fine Arts at Stuttgart. Between 1951 and 1955 he produced single-dimension works in black and white, based on mathematical variations of geometrical constructions. 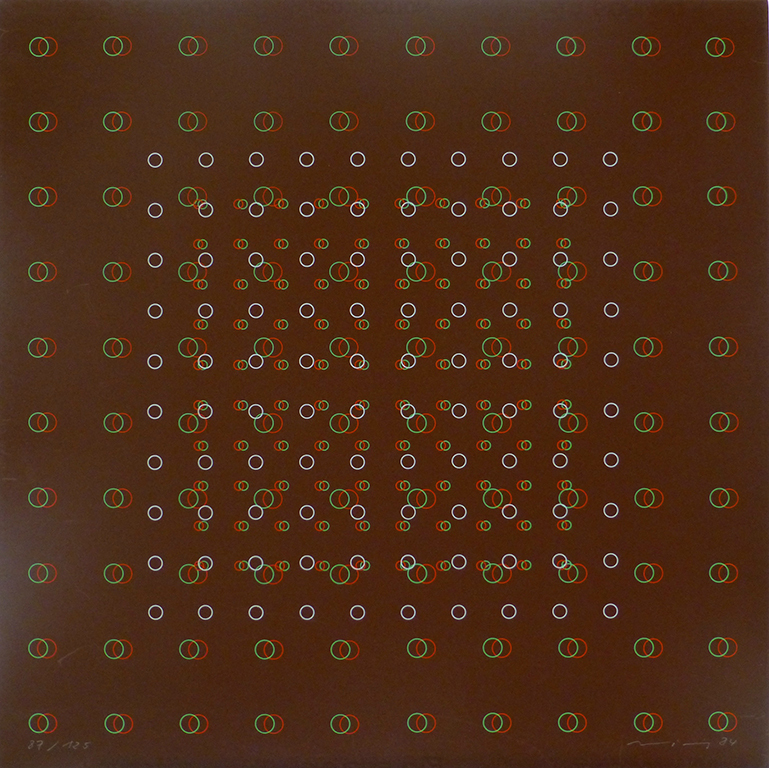 Towards 1953 he started his “Optical Interference” series in two dimensions, a project that he was to continue in the years to come. His analytical research aimed at identifying and isolating the elements he considered primary and essential, especially the line, the white and the black as elementary or primary structures of every work of art. In 1960 he began his systematic two-and three-dimensional studies and the construction of “interfering” objects, in which the superimposed and staggered networks of lines produce effects of optical perturbation and even of vertigo. The confluence of the determinate and of the indeterminate finds a dynamic equilibrium in the rigorous construction of the pattern and the optical perturbation to which it gives rise. These projects were later associated with scientific theories and hypotheses which gave rise to the production of stroboscopic objects. In 1960 Wilding was in contact with the “Group de recherche d’art visuel” in Paris and became a member of “Nouvelle Tendance,” exhibiting with this group in 1965 at the Musee des Art Decoratives in Paris, at the Museum des 20 Jarhunderts, Vienna, and at the large “The Responsive Eye” exhibition at the Museum of Modern Art, New York. 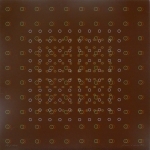 In 1967 his work was included in the “Kinetika” exhibition at the Museum des 20 Jarhunderts in Vienna. In the same year he began to teach at the Hochschule fur Bildende Kunst in Hamburg. In 1969 he exhibited at the Denise Rene gallery in Paris and in 1976 was given an individual exhibition at the Kunsthalle in Dusseldorf. In 1970 he produced environments which imposed a strain on the viewers’ concepts of space and balance, causing irritation; these experiments were the subject of various films and publications. He has also designed and constructed anamorphoses and holographs. Recently he has engaged in the construction of stereoscopic objects to be viewed through a glass of two colors, red and green, for a reading of image and its possible movement on several planes. He has also been asked to collaborate with German state television in the matter of new experimental systems of image transmission and recreation. In 1983 his work was included in the “L’ultima avanguardia” exhibition at the Palazzo Reale, Milan.